Heat up your spring nights with this smokin' crepe jersey bombshell dress with added flavour! 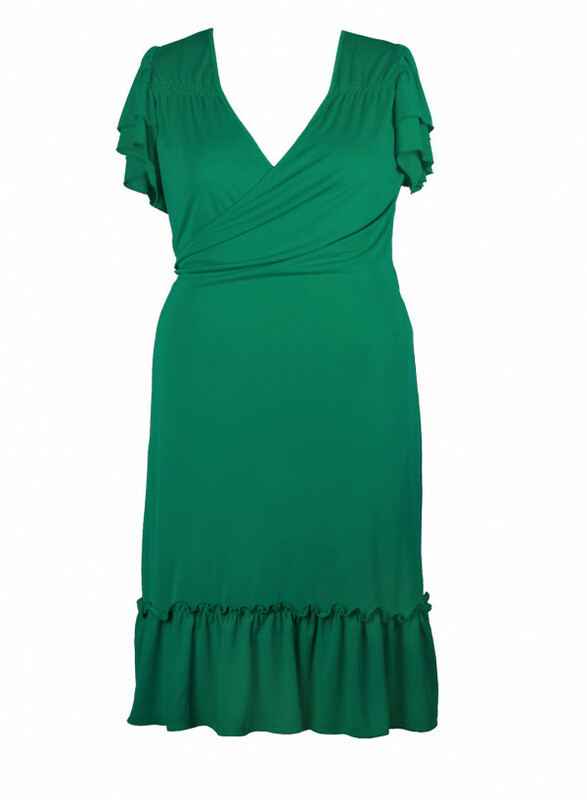 This easy to wear wrap dress has double frilled sleeves and a deep boho style frill around the hem. These swingy frills give the dress movement and slenderize the figure by drawing the eyes in to the centre of the body All fresh in leafy green.